Car accident injuries are one of the biggest reasons that people visit the emergency department (ED). The injuries can be minor to major in nature, and trauma can affect any part of the anatomy. 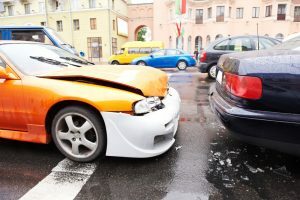 The amount or severity of injury depends on many factors, such as driver’s awareness, physical condition of the driver or drivers, impact of accident, and many more. Major car accident injuries can be life threatening. What are the statistics regarding motor vehicle accidents in America? In 2011, the emergency department (ED) visit rate for car accident injuries was highest for people ages 16 to 24 years. After age 24, the rates decline with age. The overall ED visit rate for motor vehicle injuries is highest among non-Hispanic Black persons. Imaging services were ordered for 70% of all those who went to the hospital following a car accident, which is higher than other injury statistics. The rate is 286 per 10,000 persons for the 16-24 age group, and 65 per 10,000 persons for those age 65 and over. 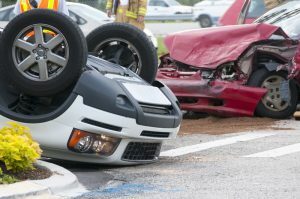 What causes car accident injuries? These patients are considered having serious injuries and are transported by ambulance after initial resuscitation and airway management. The patient or patients are examined by a physician in the ED and treatment to heal begins. Specialists may be called in, depending on severity or outcomes of findings while diagnosing the trauma. Blunt or penetrating trauma may cause severe head injuries. This type of injury often results in brain damage and bleeding to the patient. Continuous bleeding may cause blood clot formation, which can cause pressure over soft brain tissue. With brain injury or laceration of the brain, permanent brain damage or even death may occur. 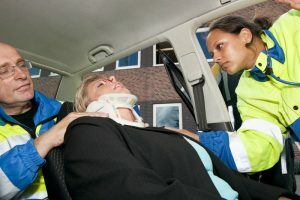 What symptoms are associated with car accident injuries? Injections. Persistent pain that develops following car accident injuries require different methods of treatments. There are several types of medication available to help persistent pain that develops. Injections are designed to directly target the pain. Injections do involve needles and strong medication, and they can be given directly into a muscle, or into a vein. Administering an injection is a fast procedure, which usually is given after a topical anesthetic. Chiropractic care. Car accident injuries can cause traumatic injury to the body. Chiropractic care helps the body to align and feel better. The chiropractor uses a method known as spinal adjustment to stop pain and adjust the vertebrae. The doctor forcefully re-aligns the vertebrae and stops them from putting pressure on the spinal nerves. Physical therapy. Depending on the type of injury, and what the patient has been through, physical therapy may be prescribed. The therapist uses heat therapy, ultrasound, ice compacts, or electrostimulation to treat the injured body part. Therapy is used to treat whiplash, neck or back pain, or any problem with the skeletal frame or muscle groups. One treatment is a combination of hand-on stretching and strengthening exercises. The therapist work with patients to develop an organized plan of exercises to help the patient regain muscle strength and flexibility. Facet radiofrequency. Another technique in a non-surgical one called facet radiofrequency neurotomy. The technique involves interrupting problematic nerves from sending pain signals to the brain. 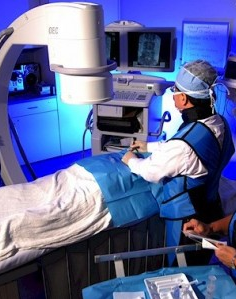 The procedure last about an hour and involves heat to damage the problem nerve. And results can last from a few months to several years. Dr. Ajay Yeddu at Desert Spine Institute offers comprehensive treatment options for those injured in an auto accident and needing treatment under a personal injury lien. He is the top personal injury doctor in Gilbert AZ. Call us today!